This Fall/ Winter 2019 season, Longchamp‘s creative director Sophie Delafontaine took to the fashion runway to tell a story about travel and design. Delafontaine’s collection marked the Parisian accessories label’s second runway showing at New York Fashion Week. 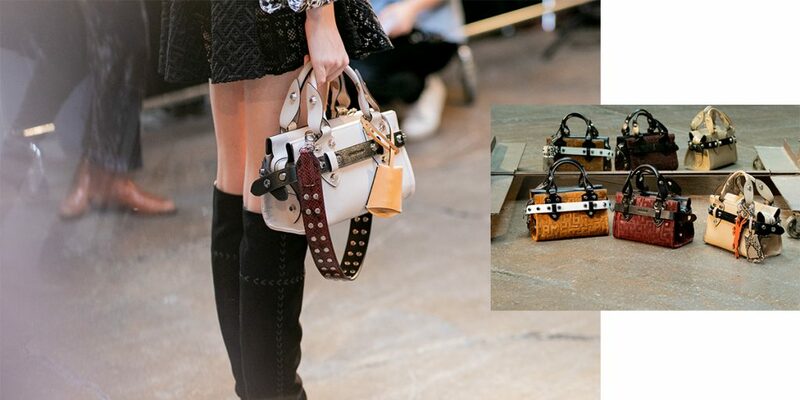 Last September, Longchamp staged its first full-scale runway show in conjunction with the brand’s 70th anniversary. 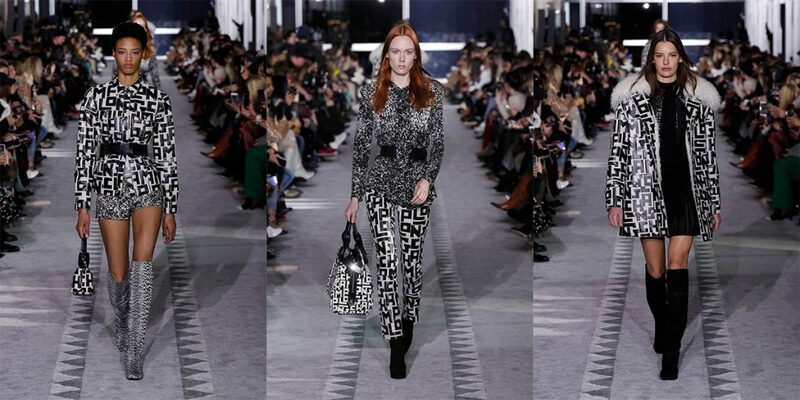 Back to the Fall/ Winter 2019 runway, Delafontaine sent 40 looks down a grey, carpeted runway lined with geometric patterns. This was a rehash of the minimalist grey in-flight aisle which the late French architect, Andrée Putman, famously designed for Air France’s Concorde aircraft in 1994. For years, the Concorde shuttled well-heeled clients from Paris to New York (and vice versa) before it met a fatal crash in 2000, and retired in 2003. That set the tone for Delafontaine’s collection: travel and the marriage of Paris’ eclectic style and New York’s urban edge. “The idea was to take the Parisian attitude and silhouettes and mix it with the New York sensibility, which is more urban and graphics,“ Delafontaine said to WWD in a backstage interview. Delafontaine’s idea of femininity came in the form of a ’70s bohemian Parisian woman — decked in effortless billowy silk tops and dresses, embroidered tulle skirts layered under cropped, knit tops. That very sense of femininity was contrasted with individuality and strength — graphic and architectural coats, leather pieces, clashing prints, and textures. 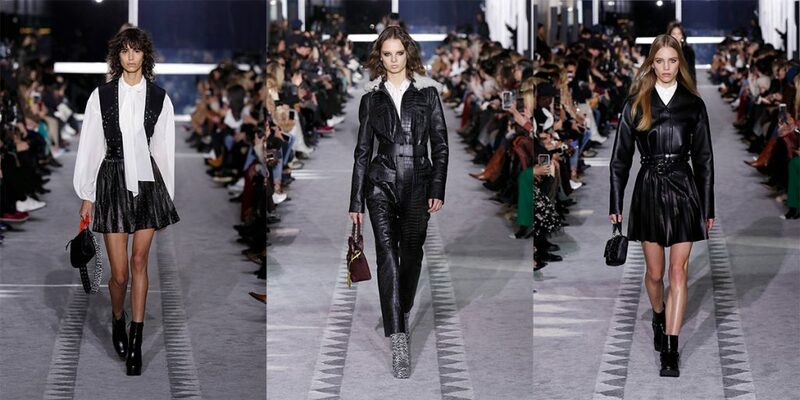 And, of course, Longchamp’s famed leathers were all over the runway. 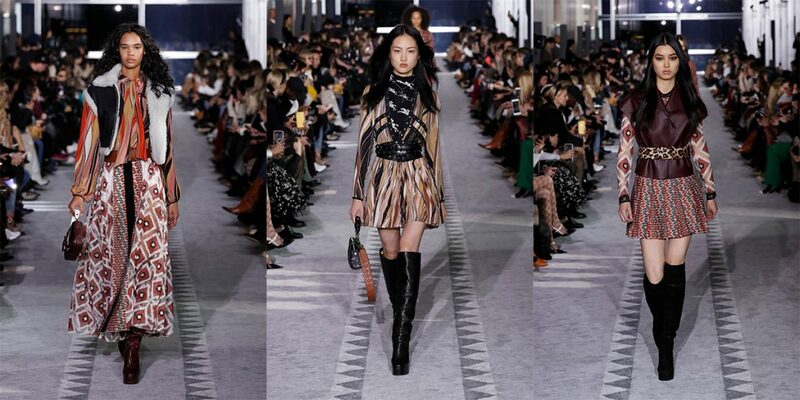 From a head-to-toe embossed crocodile jacket and pants ensemble, a leather miniskirt embellished with vivid silver studs, to a smooth-leather tailored jacket paired with a pleated skirt, the leathers lent a sense of toughness to the collection. The highlight of the collection, however, must be the unveiling of the new “LGP” logo Delafontaine introduced to the 70-year-old brand. The monotone, block logo was inspired by 1920s’ Bauhaus artists and the geometric, maze-like street-grid of New York City. The new logo was monogrammed on several leather pieces — spanning coats, tops, skirts, trousers, embroidered on tulle dresses (worn on Kaia Gerber), and bags. The collection, too, saw another first — Longchamp introduced a new miniature leather iteration of the brand’s signature Le Pliage bag. But that was not all to the bags department. There was a newer and bigger launch. The new, leather miniature La Voyaguese is a roomy and boxy rectangular tote. Photograph by Kevin Tachman (@kevintachman). Delafontaine teased the crowd with yet another new bag — La Voyageuse. The name literally translates from French to mean “The Traveller”, which harks back to this Fall/ Winter 2019 season’s jet-setter theme. La Voyageuse’s boxy silhouette resembles portable vanity cases and comes in small, medium, large, and a foldable iteration. While the brand hasn’t released any official details regarding La Voyageuse, we’re thinking this roomy leather bag will make a trusty travel companion. Will La Voyageuse take over Le Pilage to become Longchamp’s next it bag? That’s something we’ll have to find out later this year.